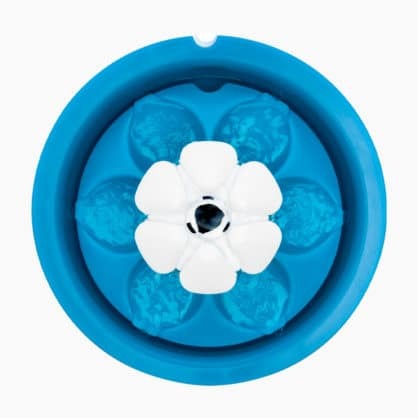 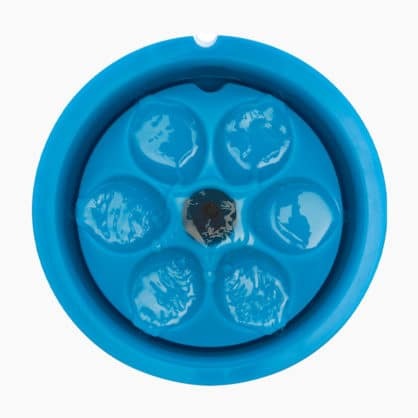 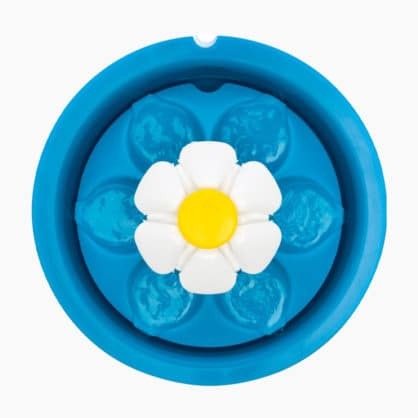 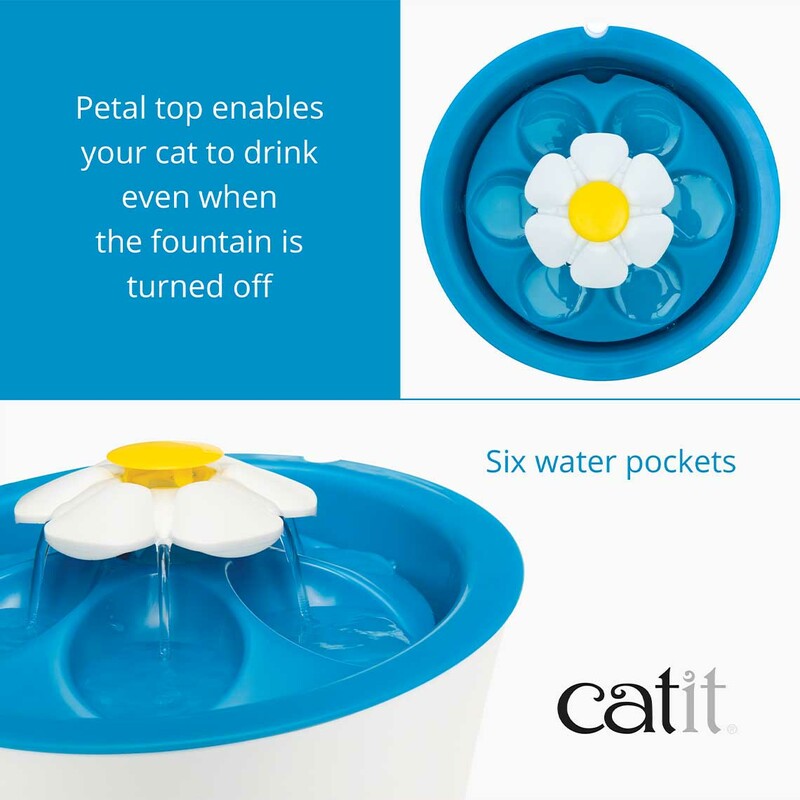 The petal top has six water pockets from which your cat is able to drink when the fountain is turned off. 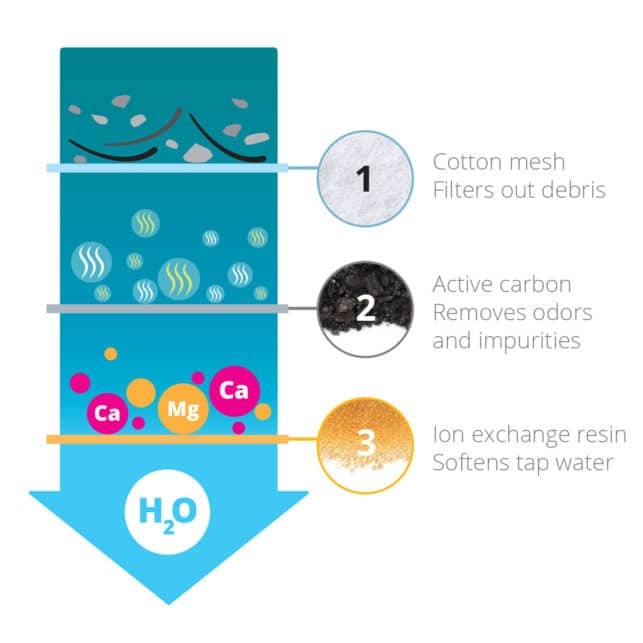 3 water flow settings for picky drinkers! 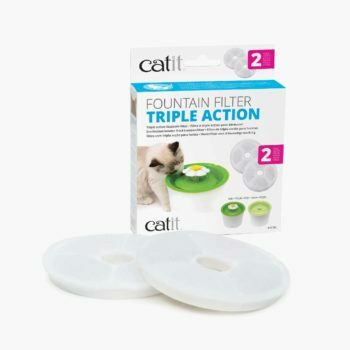 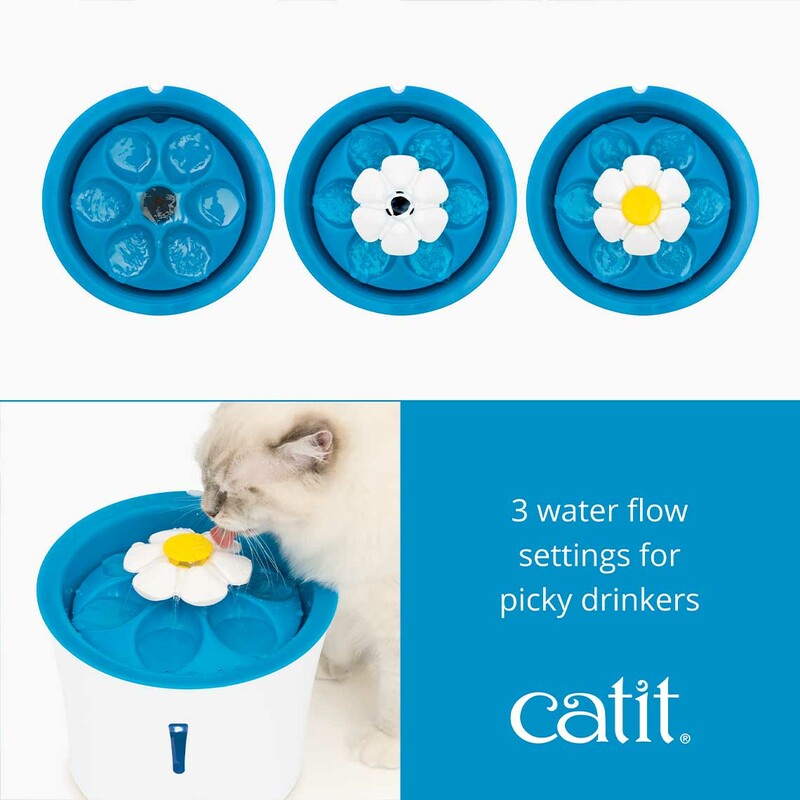 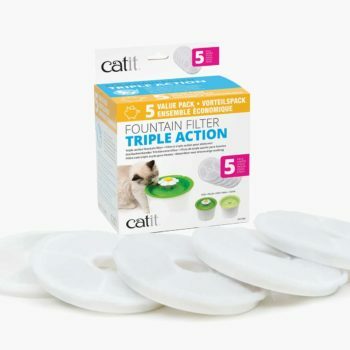 Since cats are picky drinkers, Catit developed the Flower Fountain to feature 3 different settings: a gentle water flow, a bubbling top, or calm streams. 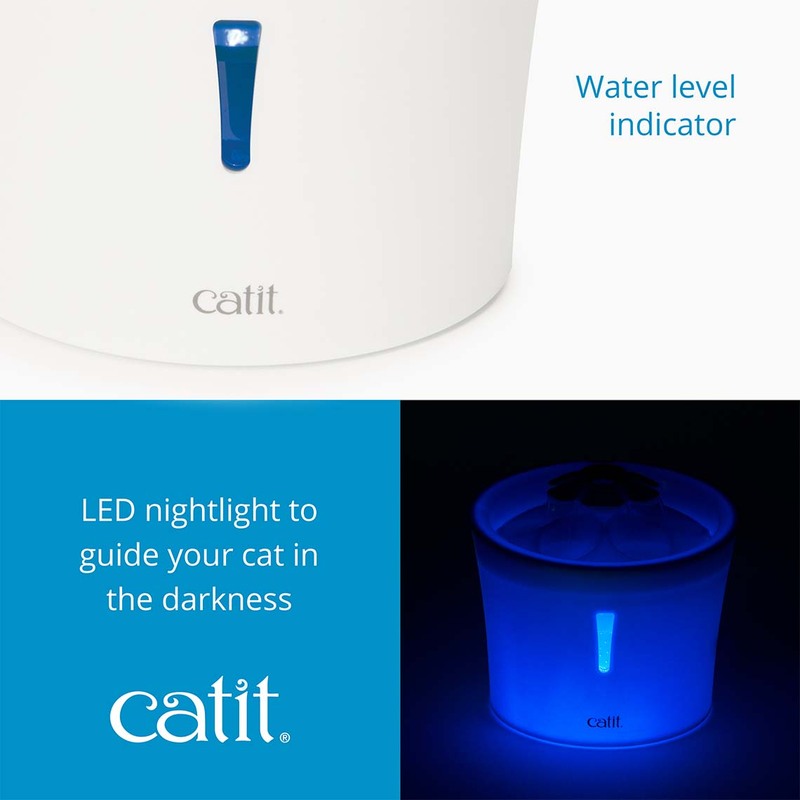 The handy water level indicator window lights up with a gentle glow to guide your cat in the darkness. 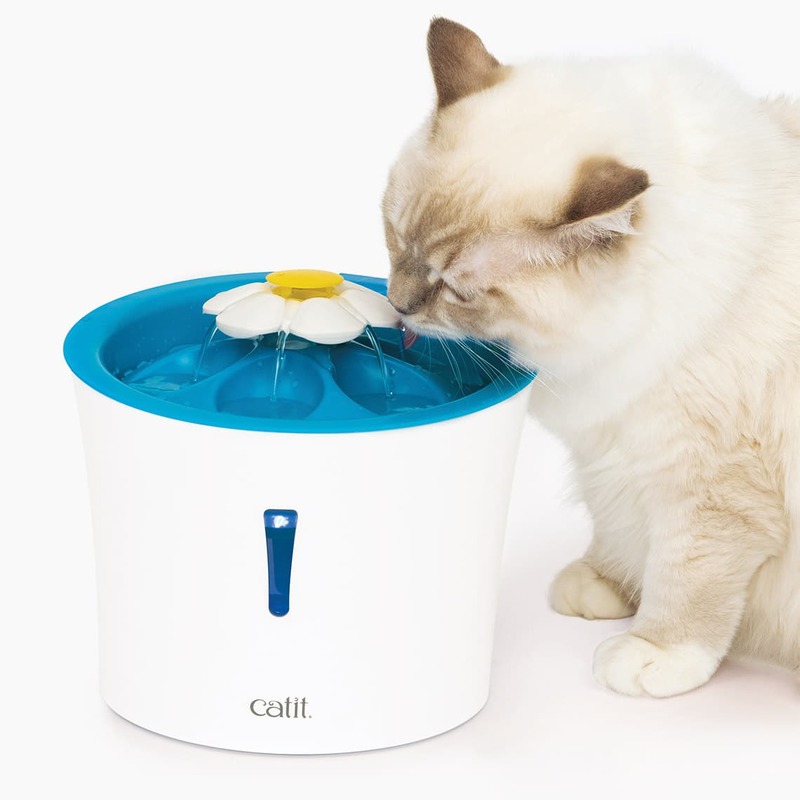 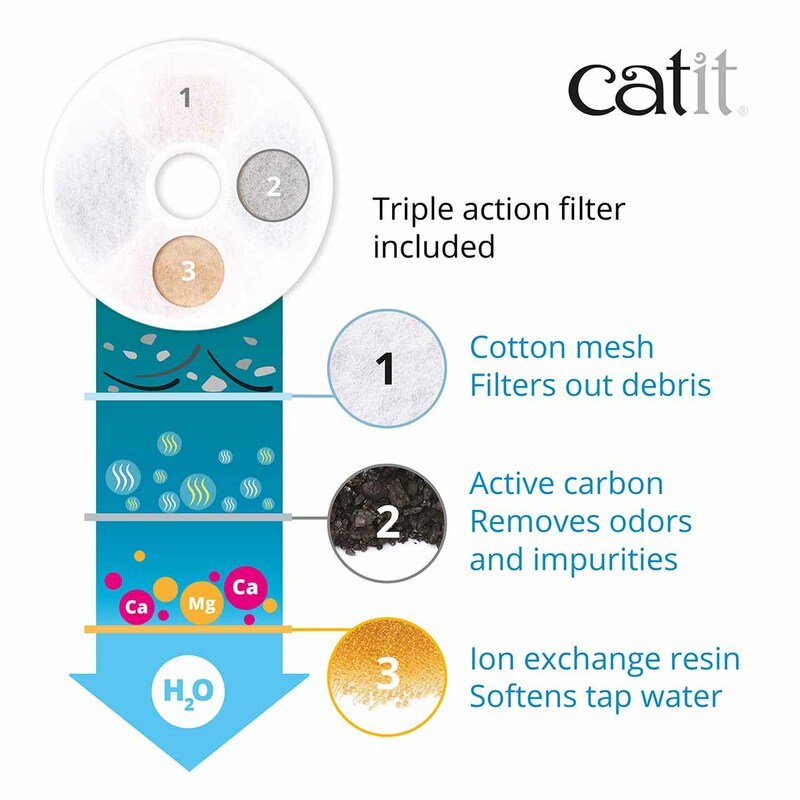 Unlike bowls, the Catit Flower Fountain pushes only filtered, running water to the surface. 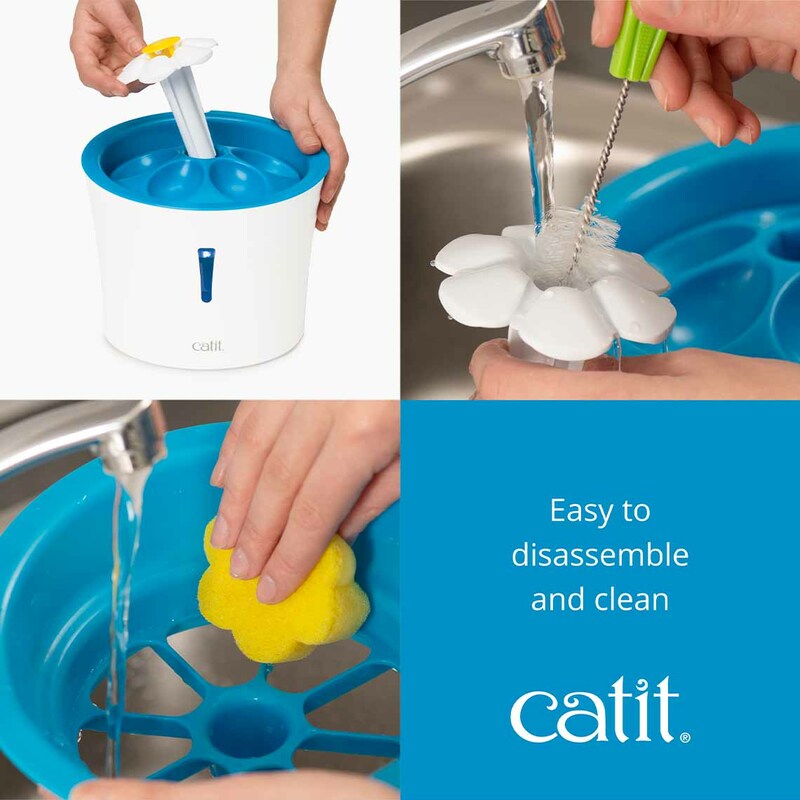 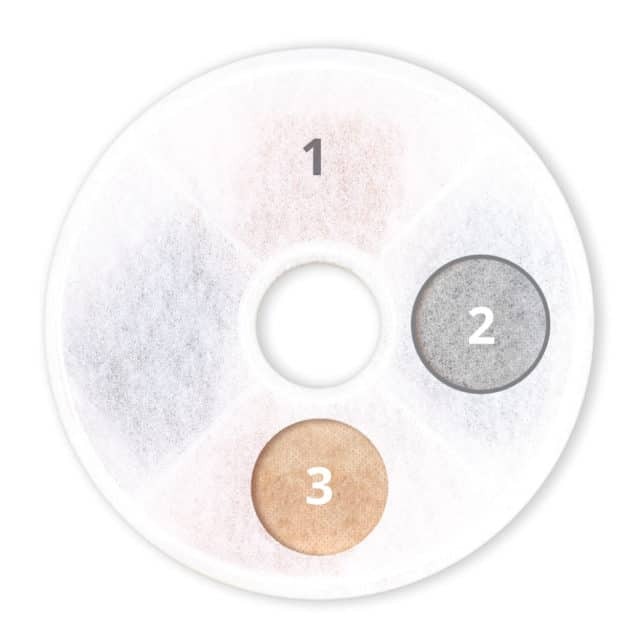 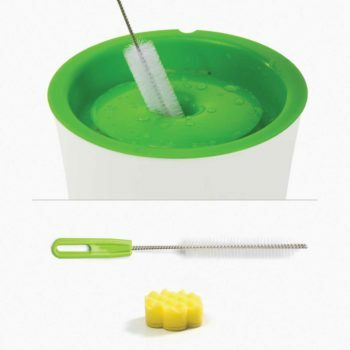 Every component is easily accessible and can be cleaned with water and natural soap. 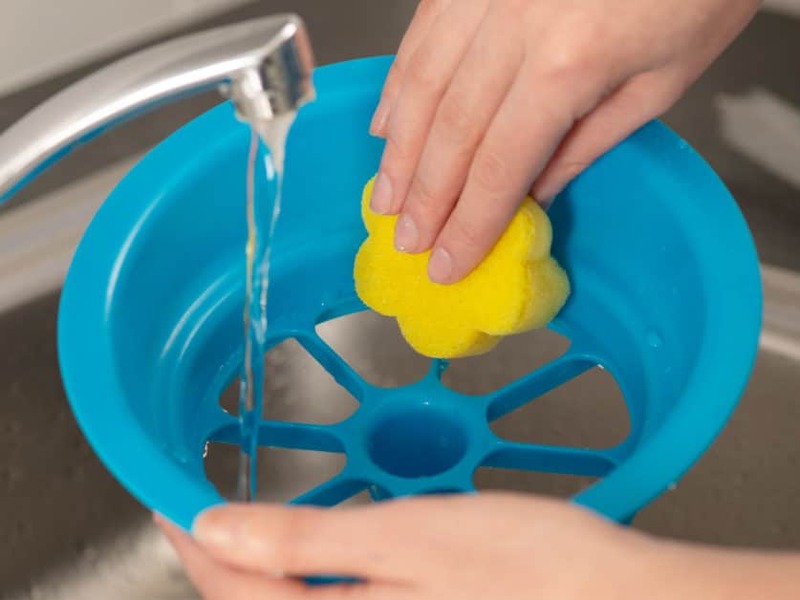 Always make sure to rinse thoroughly after cleaning. 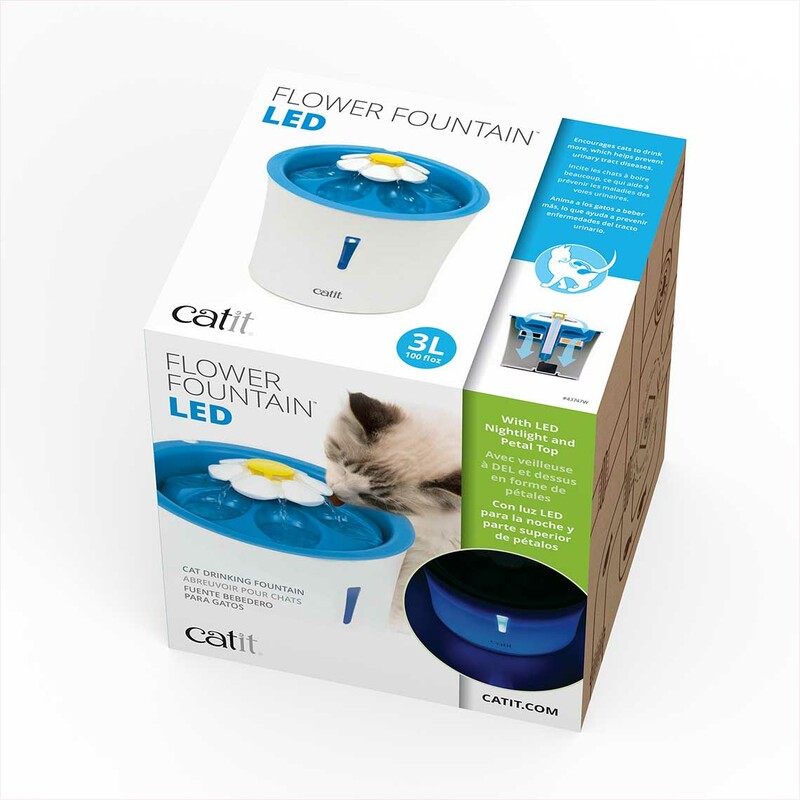 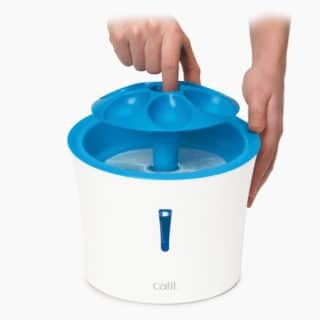 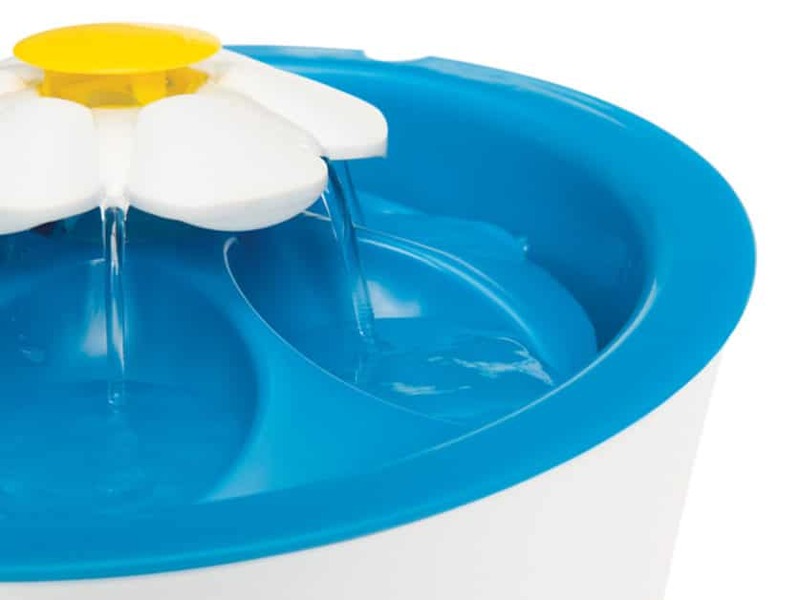 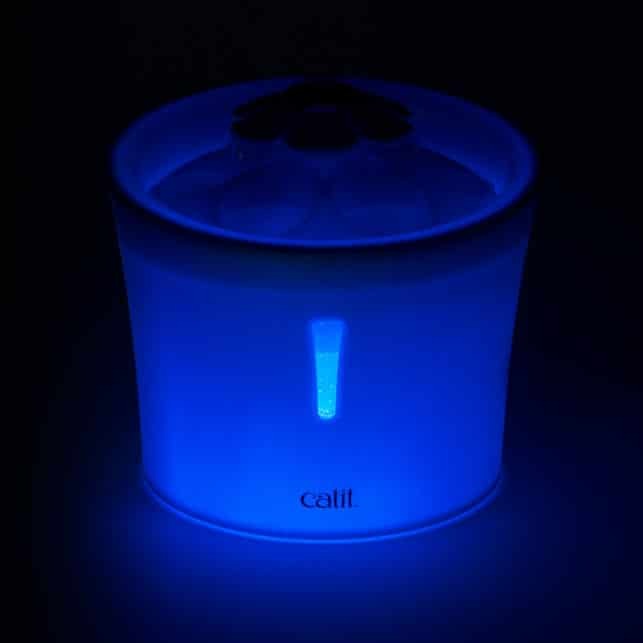 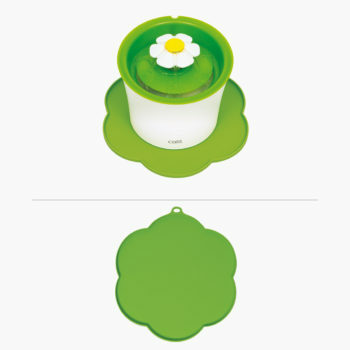 The Catit Flower Fountain’s compact 3 L (100 fl oz) water reservoir was designed to take up little floor space. 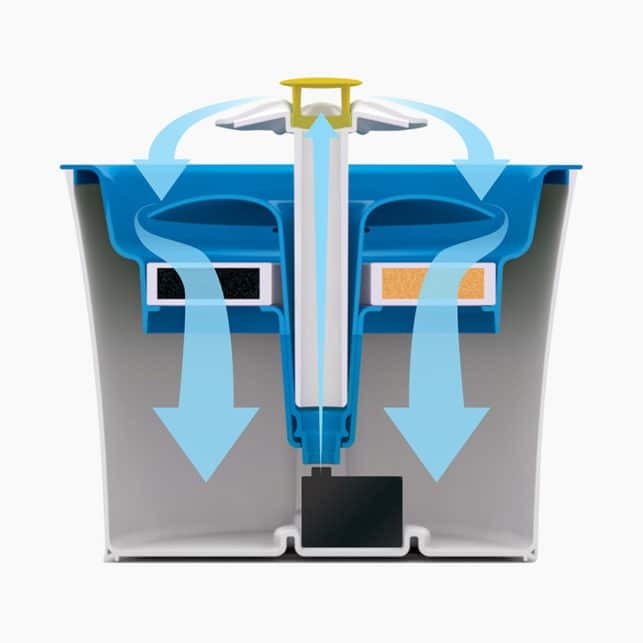 The fountain offers more clean water in comparison to other fountains. 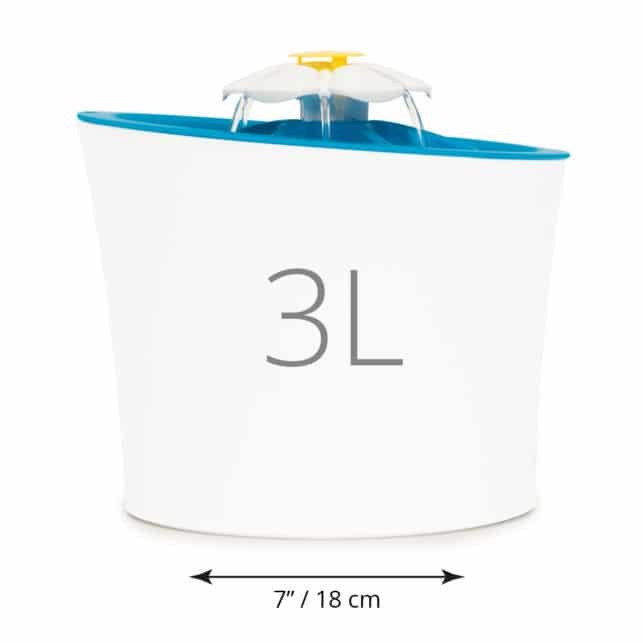 The plastics are BPA-Free.